Color space matters when ordering prints or other print projects online. Here's how to make sure your projects look their best. 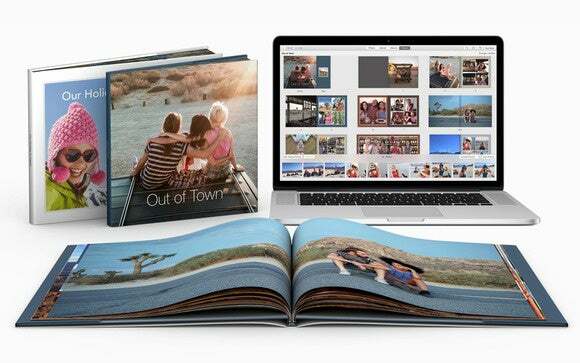 ’Tis the season to print your photography, whether it’s a picture you’ll frame, a greeting card, or a calendar, book or other photo-related project you’ll order online. Since it’s challenging (if not impossible) to print some of this stuff at home, it’s best to leave the printing to pros such as Apple (using iPhoto or the Photos app), services such as mpix.com, your local camera store, or even Costco. 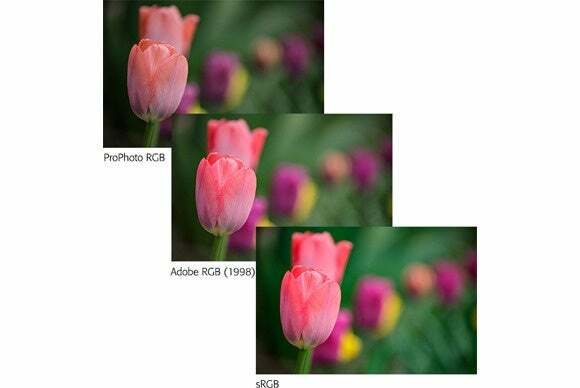 The downside is that if you use an image editing app such as Photoshop, Elements, or Lightroom, the colors in your printed pictures may not look like you expect, as you can see from the three versions of the tulip image below. The problem is rooted in the difference between the color space of your image versus the color space used by online printing services. In this column, you’ll learn how to control the color space in Photoshop, Elements, and Lightroom to be sure the colors you see on your display are as close as possible to the colors you get in the printed projects you order online. In this infographic, you can see how small the sRGB color space is (pictured in color) when compared with Adobe RGB (1998) and ProPhoto RGB. Without diving too deeply into technical territory, color space refers to the range of colors available when your image is captured, displayed or printed. 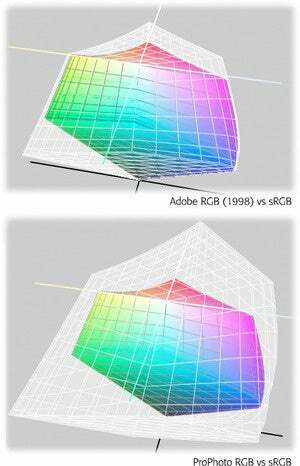 Color spaces have names such as Adobe RGB (1998), ProPhoto RGB, sRGB, and CMYK. These color spaces vary in size and thus the range of colors they can produce. For example, next to the human eye, ProPhoto RGB is the largest color space to date, followed by others such as Adobe RGB (1998), sRGB, and CMYK. However, if the image was captured on a higher end camera with a different color space, if you use a different color space in Photoshop, Elements, or Lightroom, if the image was scanned from a printed photo, or if it was given to you and you don’t know how it was created, then the image may live in a different and larger color space than sRGB. Happily, Photoshop, Elements, and Lightroom can show you what the image will look like when the photo’s colors are limited to the sRGB color space. All but Elements lets you view the image in a different color space—a process called soft proofing—without actually converting the file to the smaller sRGB color space (so you don’t lose data). Soft proofing gives you the opportunity to tweak the colors to your liking before you have it printed. After you’re finished editing the image, here’s what you do: In Photoshop, open the image and choose View > Proof Setup > Internet Standard RGB (sRGB). Next, choose View > Proof Colors (or press Command-Y) to see your image in sRGB. If the image looks good, you’re done. If it doesn’t, use the method of your choice to make the colors look like you want (say, using a Hue/Saturation adjustment layer). When you’re finished, choose Edit > Convert to Profile and in the resulting dialog box, choose sRGB from the Profile menu in the Destination Space area. To save a copy of your photo in this new color space, choose File > Save as and choose JPEG from the Format menu. In the JPEG Quality dialog box that opens, enter 12 into the Quality field and click OK. This gives you a new file ready for uploading to an online printing service. Soft proofing in Photoshop is incredibly easy. Photoshop Elements doesn’t have a soft-proofing option, but you can convert the image to sRGB. 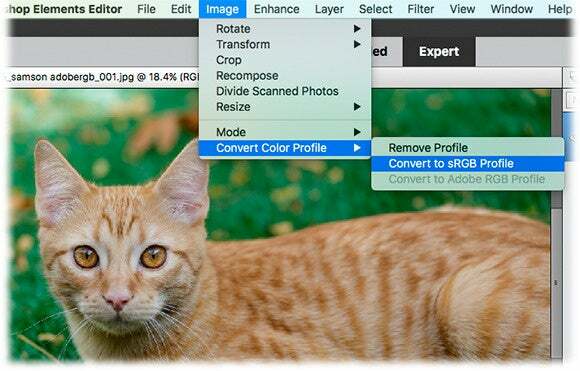 To do that, open an image in Expert mode and choose Image > Convert Color Profile > Convert to sRGB Profile. If necessary, use a Hue/Saturation adjustment layer to alter the image so it looks good to you and then save a master copy for future edits by choosing File > Save As and picking Photoshop from the Format menu. To create a copy you can upload to a printing service, choose File > Save As again and pick JPEG from the Format menu. In the resulting quality dialog box, enter 12 and click OK.
After converting to sRGB in Elements, save the file with a different name so you don’t overwrite the original. 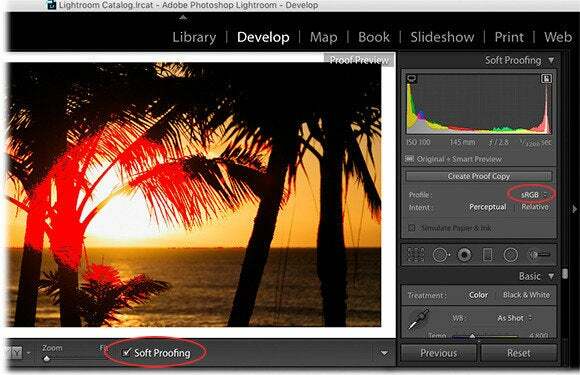 In Photoshop Lightroom 4 or later, open an image in the Develop module and then turn on the Soft Proofing check box beneath the image preview (or press T on your keyboard). In the Soft Proofing panel at upper right, choose sRGB from the Profile menu and any problematic areas appear in red. In order to fix the image without altering the current version, click Create Proof Copy and then try using the HSL panel to tweak the colors and eliminate the red warning. When you’re finished, choose File > Export and in the resulting dialog box, scroll down to the File Settings section and choose sRGB from the Color Space menu, set the Quality field to 100 and then click Export. Lightroom highlights problem areas in red so you can easily spot them. As you can see, it’s important to preview your images in the color space in which online printers actually use. Until next time, may the creative force be with you all!